In order to maintain resilience and remain competitive, Utah’s business leaders need to familiarize themselves with this all too pressing issue. 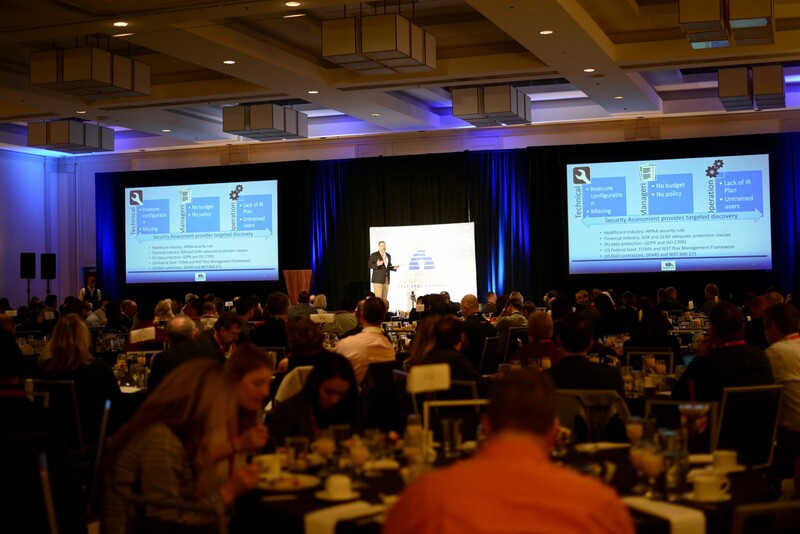 The Salt Lake Chamber Cybersecurity Conference will lead CEOs, CFOs, HR professionals, and others through the practical skills and foundational knowledge they need to do their jobs well in our modern economy. Cybersecurity is not just an IT issue, but a general business issue that needs to be integrated into operations. The Salt Lake Chamber encourages you to bring a representative from each of your departments to ensure that security is ‘built-in’ not ‘bolted on’. Overall preventative security measures are far less costly than recovering from the effects of a cyber incident. Matt Soseman is a Security Architect at Microsoft residing in Del Mar, CA where he enables organizations to be more secure and compliant using Microsoft technology. Matt has served multiple roles at Microsoft including Marketing and Microsoft Consulting Services. Prior to Microsoft Matt delivered mobility consulting at BlackBerry and helped to pioneer Unified Communications at Sprint. Matt runs one of the top TechNet blogs at Microsoft where he writes about how Microsoft 365 workloads help to drive digital transformation, change corporate culture and is a veteran speaker various Microsoft and industry conferences. Join four of the leading experts on cybersecurity law in Utah as they talk about how current laws and regulations affect how business is done in Utah and what businesses’ responsibilities are in protecting data as well as the privacy of its clients and employees. These experts will tackle what is expected both on federal and state levels and the direct effects that GDPR has on Utah businesses. The Salt Lake Chamber’s Cybersecurity Leadership Council created a series of five lunches where business leaders who know nothing or very little about cybersecurity could learn all the necessary cybersecurity tools their organizations need to prevent, detect and respond to a cyber incident. Each of these lunches built upon the knowledge learned in the previous, with the final event in the series taking place during this breakout. Come learn how other Utah organizations have dealt with breaches and what they’ve learned from their experiences. We are pleased to announce this new break out session in our 2019 conference with experts from both local and national companies. Leading the session will be Ingram Micro, Haight Bey & Associates, Fortinet, & Strong Connexions. During this session we will take a closer look at some of the ways hackers infiltrate our networks through a live demonstration, following which we will provide an opportunity for Q&A with the audience. The best time to prepare for a data breach is before it occurs. This break-out session will help you analyze your organization’s cybersecurity maturity. Anders Erickson, an experienced member of Eide Bailly’s digital forensics and incident response team, and Todd Neilson, Co-Founder and CTO of Secuvant, will walk you through a self-assessment. You will walk away from this break-out session knowing where you stand and with resources to help point you in the right direction to better protect your organization. Jason Callaway serves as a Google Cloud Customer Engineer who specializes in helping US government users take advantage of cloud services. Prior to joining Google, Jason founded the Fedora Red Team, an open source community that incubates offensive and defensive cybersecurity tooling. He also served as Red Hat’s representative on the steering committee for Eclipse Foundation’s LocationTech working group. Jason has served in technical architect roles at Red Hat, Oracle, Sun Microsystems, and Lockheed Martin.